Amazon Filters has introduced 2.5-inch and 5-inch SupaPore Junior cartridge filters for processes where a compact filter system would be advantageous. These new cartridge filters are ideal for low flow (up to 2m³/Hr of fluids and 100Nm³/Hr of gas) processes including a wide range of pharmaceutical, beverage, coatings and industrial gas applications where available space is at a premium. The cartridge filters come in a range of different pleated depth media including pre-filters and sterilising grade membranes, they are also available with a range of different end fittings to enable use with your existing equipment. 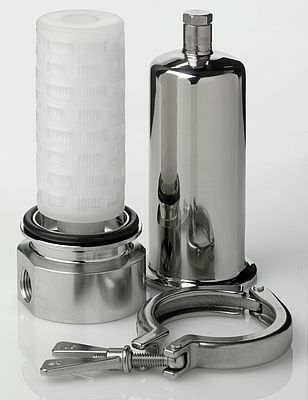 The SupaPore Junior cartridge filter range is fully compatible with Amazon Filters Industrial Housings (51A Series) and Sanitary Housing Options (70 Series). All housings are PED compliant and can be used in temperatures from -10 up to 150°C and are available in both 316L Stainless Steel and Alloy 22.